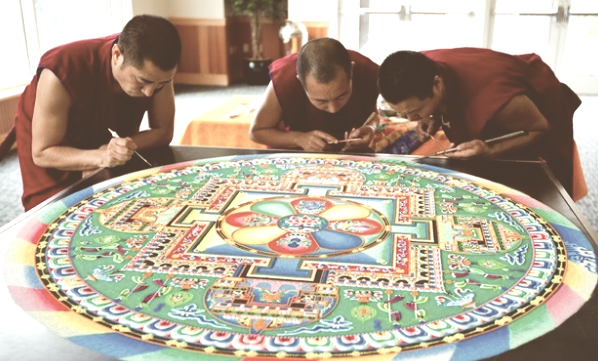 As a child, my mother took me to see Tibetan Buddhist monks visiting Los Angeles create a traditional sand mandala, applying sand granules through small straw like tubes. 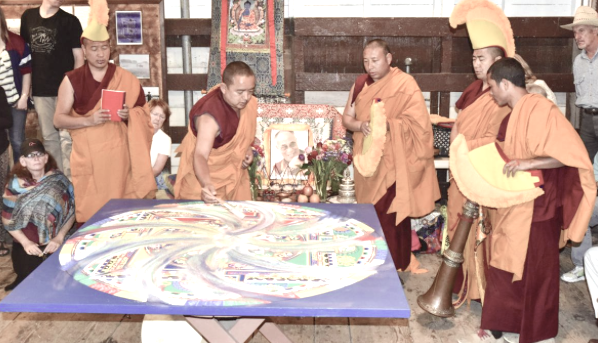 These mandalas take several weeks to complete, and upon completion, the monks perform a ritual where they destroy it. They ceremonially sweep it up, collecting the sand in a jar which is then wrapped in silk and taken to a river where it is released back into nature. This symbolizes the ephemerality of life and the world. Viewing this ritual had a profound impact on me as a young child. I had been coloring mandalas as a form of meditation for years, when I saw an ad for a jewelry class called “Beaded Mandala Pendants”. I went, and have been hooked on working with tiny beads ever since. 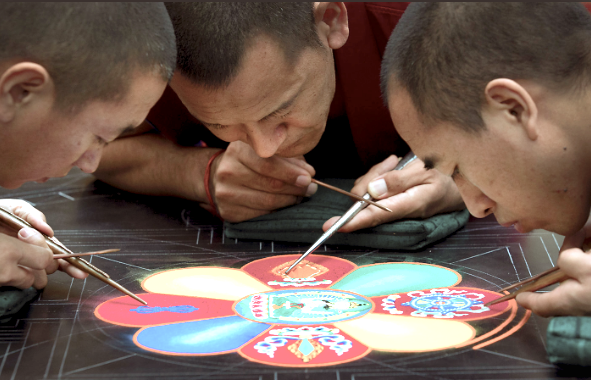 When I create something with beads, I always feel inspired by the Tibetan Buddhist monks I saw as a child. There are Tibetan Buddhist monks and nuns across Asia that bless and chant over beads strings they make called Malas. I use beading as a form of ritual and meditation and am always praying over and blessing my work with positive thoughts and energy. I became a professional jewelry designer when I began selling equestrian themed jewelry to the Santa Anita Horse Race Track near Los Angeles, California. Call now to book a collaborative jewelry session or to receive a free 15 minute ritual consultation.